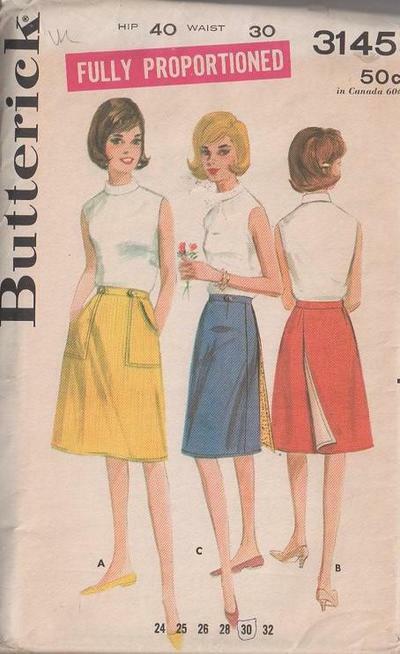 60s Beginners, Retro Proportioned Clothing Patterns - Back wrapped, cone shaped skirt. Top stitch trim. A - Street length with patch pockets. B-pocketless. C - Above knee length, pocketless.